One of the goals is to stem the spread of infectious diseases like Hepatitis-C and HIV. Some opponents have argued the needle swap will enable addicts, but supporters say it’s a way to develop a relationship with drug users and convince them to get tested or seek treatment. For Councilman Wendell Honeycutt, the vote was personal. As he cast his vote in favor of the needle exchange, he thought about two friends who battled cocaine addiction. One got clean, the other didn’t. "I spoke to one of them this past week. I had a pet die," Honeycutt said. "The one that received counseling called to tell me how sorry they were that my pet died. The other one called to beg for money. That's the difference in their lives." Honeycutt says he knows of 12 addicts from Barren County who are currently going to Bowling Green’s needle exchange, so he understands the need for one locally. Honeycutt was initially against the program, but he says a number of controls are in place that should prevent an increase in crime or a high number of addicts coming to Barren County from other towns. The program will be run for a four-hour period one day a week. While the needle swap is anonymous, participants will have to give their zip code so the health department can keep track of how many are coming from other counties. Approval from the Glasgow City Council was the last step in the approval process. The Barren County Health Department's board and Barren County Fiscal Court had previously voted in support of a needle exchange. The program is expected to be in place by early March. The Kentucky General Assembly approved a measure in 2015 allowing local governments to set up the exchanges in response to the state’s heroin epidemic. One south central Kentucky community has moved a step closer toward establishing a needle exchange for drug addicts. 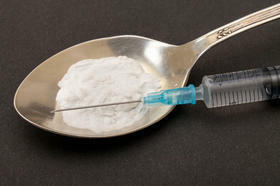 In a 4-3 vote with one abstention, the Barren County Fiscal Court approved a program Tuesday that will allow intravenous drug users to anonymously swap dirty syringes for clean ones at the local health department. Kentucky already has a high rate of Hepatitis-C, and health experts say needle exchanges can help reduce the spread of blood-borne diseases likes Hep-C and HIV. The coordinator of a needle exchange program in Bowling Green is hoping other southern Kentucky counties will start similar efforts. The Barren River District Health Department started the anonymous needle exchange program nine months ago in hopes of combating the spread of diseases such as HIV and Hepatitis-C.
From January 2014 to April 2016, the region saw more than 600 cases of Hepatitis-C. The health department’s Public Health Services Coordinator, Chip Krause, says it’s too early to know if the district has seen a decrease in the spread of disease, but he says those who use the needle exchange program are five times more likely to enter a treatment program. The leader of Bowling Green-based health group says a needle exchange for intravenous drug users is the best way to fight the state’s addiction problems. Dennis Chaney, director of the Barren River District Health Department, is applauding the Bowling Green city commission’s decision Tuesday to approve a needle exchange program. The exchange must now be approved by Warren County Fiscal Court. It has already been authorized by the Warren County Board of Health. Chaney said he understands those who feel a needle exchange will enable drug users. But he thinks it’s the best way to break down barriers and start the healing process. “The opportunity is for those folks who would participate in the program, the responsibility is for us to try to develop a relationship with those folks just like what you may have and you may enjoy with your primary care physician,” Chaney said. 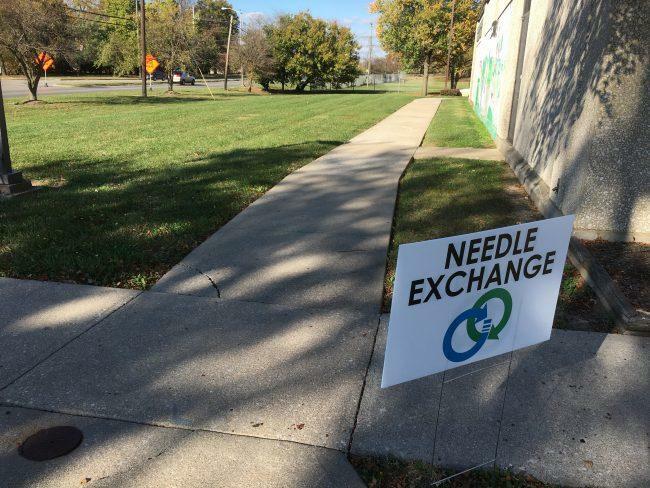 Lexington health officials have unveiled a preliminary plan for a needle-exchange program to be launched in the city. 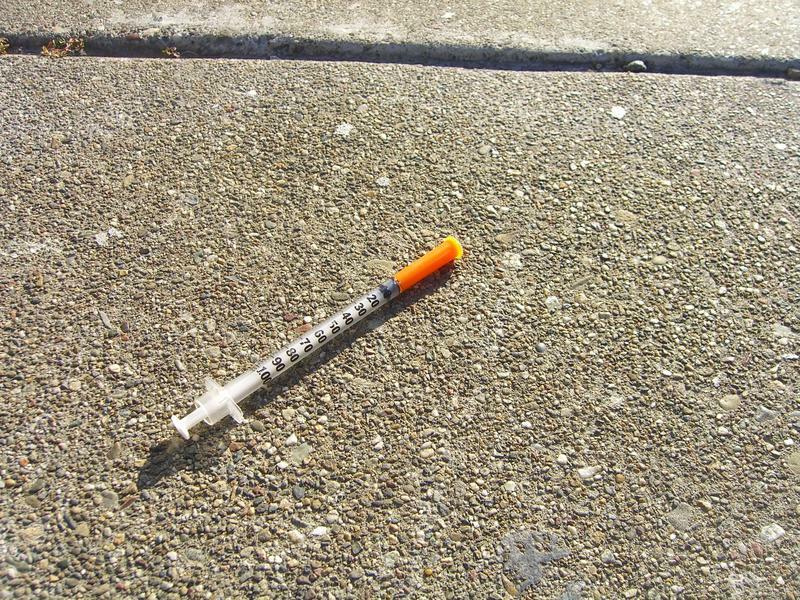 The Lexington-Fayette County Board of Health announced Wednesday it plans to offer intravenous drug users clean needles at the health department building on Newtown Pike. A state law passed in March allows state health departments and local governments to create needle-exchange programs to stem Kentucky's growing rates of hepatitis and HIV. Health commissioner Dr. Rice Leach says the preliminary plan is being reviewed by law enforcement, treatment centers and city officials. The officials will hold a June 19 meeting to discuss the program. According to the plan, people seeking needles would enter the building through a back door to protect privacy. Users would be able to receive needles anonymously. Bowling Green and Warren County are joining a growing list of communities establishing needle exchange programs. In 2015, the Kentucky General Assembly approved a measure allowing local governments to set up the exchanges in response to the state’s heroin epidemic. The aim is to prevent the spread of disease such as HIV and Hepatitis. The Barren River District Health Department serves an eight-county region including Barren, Butler, Edmonson, Hart, Logan, Metcalfe, Simpson, and Warren Counties. 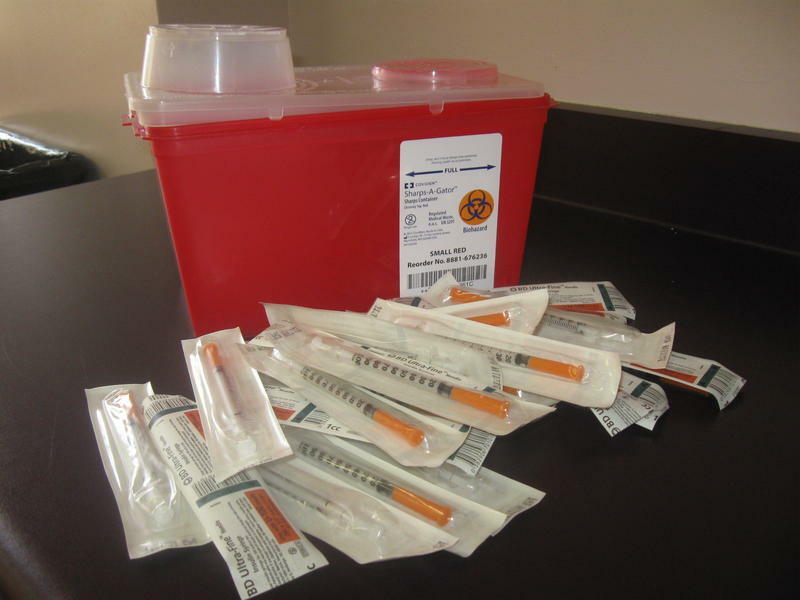 From January 2014 to April of this year, the region saw more than 600 cases of Hepatitis-C.
Warren County's needle exchange, which begins Thursday, will allow any drug user to come to the health department and anonymously swap dirty needles for clean ones. In this interview, Lisa Autry spoke with Dennis Chaney, director of the Barren River District Health Department. Kentucky ranks first in the U.S. for its rates of Hepatitis-C, a liver disease that can be deadly. Despite that, only about two dozen Kentucky communities have needle exchange programs that allow intravenous drug users to anonymously swap dirty needles for clean ones at local health departments. A 2015 CDC analysis of 220 counties in the nation found 54 Kentucky counties were vulnerable for an outbreak of Hepatitis-C and HIV. "That right there tells you that the state as a whole is in terrible shape," said Ben Chandler, President and CEO of The Foundation for a Healthy Kentucky. "Almost a quarter of the counties in the country as a whole are right here in Kentucky."